1-5: © Visa Rauste, 06-05-06. Tampere, Finland. A worn individual. 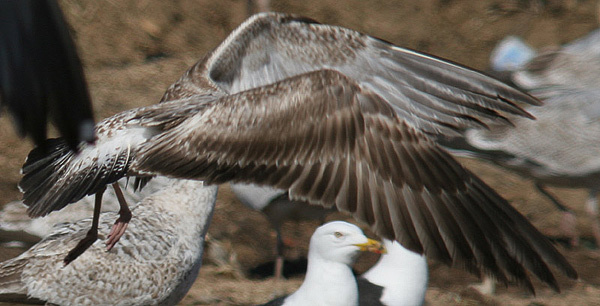 The scapulars are strongly marked and not unlike those found in Herring Gull L argentatus, if overall slightly darker. 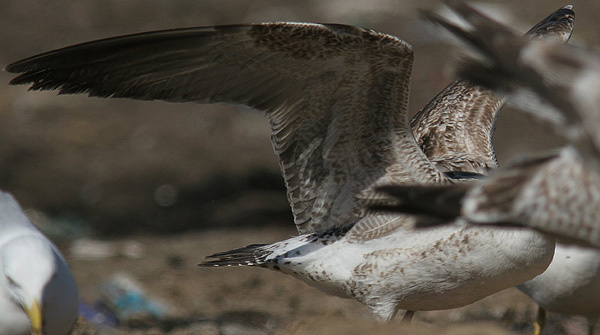 Many juvenile wing coverts and tertials are missing or worn to such an extent that they are very difficult to discern; note the small row of worn second generation lesser coverts. 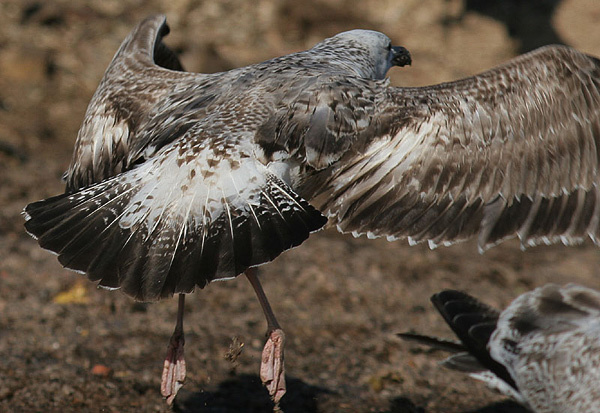 This tail pattern is commonly found in Lesser Black-backed Gulls. The axillaries and underwing coverts are finely barred. 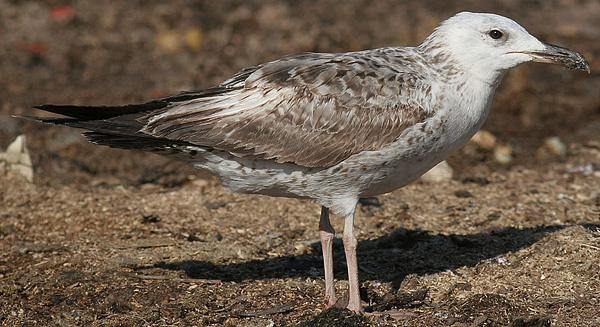 What sets this Heuglin's Gull apart from the odd western LBBG is the combination of relatively long tibia, white head and underparts, streaking in the neck (both recalling Caspian Gull) and the rather long, slightly drooping bill.